LFC Globe is an Internet Service Provider offering a platform which merely displays links to audiovisual content located on servers of third parties and provided and/or transmitted by third parties. LFC Globe does not host nor transmit any audiovisual content itself and does not control nor influence such content. LFC Globe cannot accept any liability for the content transmitted by others. Any responsibility for this content lies with those who host or transmit it. Of course LFC Globe is concerned about allegations that illegal content is made available on the websites to which hyperlinks on its website direct. Although LFC Globe cannot actively monitor the content which is transmitted via third party websites, it is willing to take action in removing links to illegal content upon obtaining proper notice thereof. 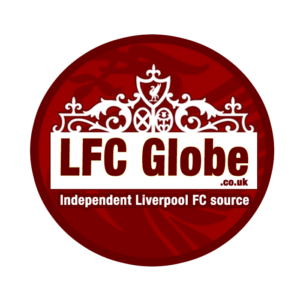 LFC Globe will remove links to illegal content from its website within 24 hours of a notice being received, although, it cannot prevent that links are replaced by visitors of its website. In order to prevent that a link is replaced again after being removed by LFC Globe, LFC Globe advises you to contact the owner of the website where the content origins from. – That you indemnify LFC Globe, all its affiliates and its and their respective officers, directors, employees, agents and successors from any and all claims, losses, costs and expenses (including reasonable attorneys’ fees), damages, penalties and liabilities incurred by LFC Globe as a result of the notice. We at LFC Globe have worked hard to establish procedures that ensure compliance with the local laws and that generate a prompt and accurate response to all complaints that we may receive. In order to speed any complaint along as quickly as possible, please make sure that you comply with all the notice procedures set forth above.